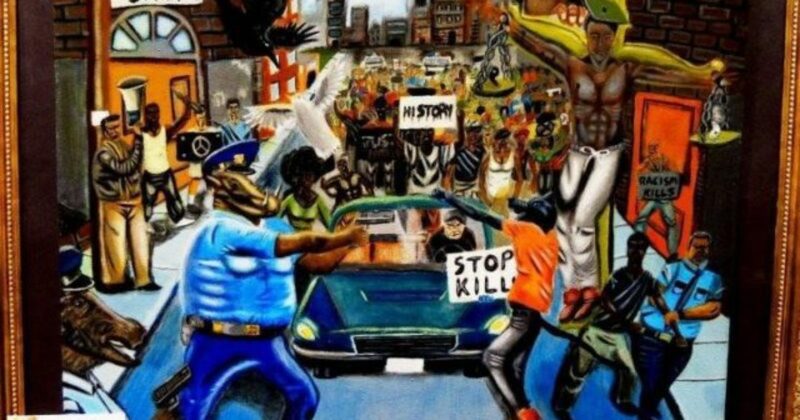 Three times now the infamous painting depicting cops as pigs that hangs in our nation’s Capitol has been taken down by GOP House members, and three times it has been put back up by Democrat House members. Lacy Clay, the Democrat lawmaker who put the insulting painting up in the first place, is pissed! He believes the First Amendment rights of the creator of the painting are being violated, and he is tired of it! You simply can’t make this stuff up. What sort of arrogance and stupidity does it take to declare your hatred of the police by publicizing a painting that depicts the police as pigs, then to turn to those very same police to protect your right to tell the world they are pigs? We first reported on this story a few days ago. The conflict appears to be escalating.